Did you know that bitcoin is not the only digital currency? 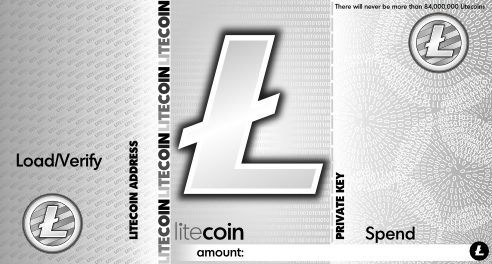 There is also litecoin (LTC), Namecoin (NMC), and Peercoin (PPC) among dozens of others. Some believe that these coins do little outside of what bitcoin has already done, so why should they have any value at all? Despite the fact that the altcoins are much less known and much less disseminate than bitcoin they still have all of the same fundamental features that bitcoin has that makes it good money, and good storage of value. More important than any of the additional features that altcoins offer is they compete with bitcoin on a free market. This is what Austrian economist Friedrich von Hayek spoke of in his final treatise on money, “The Denationalization of Money.” He believe that in a world of free money currencies would be forced to compete with one another (similar to on the forex market) and the superior currencies would win out over less efficient currencies through free market mechanisms. What I took away from this is that there must be currency competition to compare and contrast currencies against one another, and to help mitigate against any disasters one currency could have, and also ensure that there is not a monopoly on digital currencies. Bitcoin has the first to market advantage, which means many, many more people accept bitcoin than litecoin today, and more accept litecoin that peercoin. This is significant advantage bitcoin has over altcoins is because it is hard to convince people to use an alternative currency–particularly one that people cannot hold. But what about getting people using bitcoin to use altcoins? That seems like a much easier jump to make than from not using digital currencies to using altcoins. So if bitcoin becomes successful (which it already is) there is little reason why altcoins would not also become successful. The biggest barrier today is simply getting more people to accept altcoins–and the more people that accept bitcoin, the more potential people there are that may accept altcoins. And because they also have fixed supplies, the more people that use altcoins, the more likely the price will increase. That seems to be what happened with the most recent spike in LTC volume when the price went over $9. This seems to have been caused by the influx of Chinese digital currency users that also caused for the recent rally on bitcoin. With Altcoins being just as efficient as bitcoin in terms of their moneyness, there is a huge opportunity for someone to create a digital currency bank using one of these altcoins. The biggest advantage that one would have in do this would be market making, after purchasing a large supply of the available coins. Through offering support, and more importantly, having a sales team that shows businesses the direct advantages from using digital currencies, a company like this could do very well. The biggest question is will someone see this in any of the altcoins? Time will tell us. Another reason that altcoins are could be successful is the possibility that the bitcoin network could somehow become compromised or enter into a full panic of confidence. If that were to happen, altcoins–being the quickest way to convert bitcoin to another currency, outside of selling directly for cash–would be the quickest alternative to flee to. One could also think of litecoin, and other altcoins as being a tool to diversify one’s digital currency holdings as well, to hedge against any sort of catastrophic disaster to bitcoin. The future is impossible to tell, and the more digital currencies there are in the world, the less likely it is that digital currencies on a whole will fail or be compromised. In conclusion, I believe that altcoins will be successful because the technology is just as good as bitcoin, with a few significant improvements over bitcoin in some ways. Altcoins help strengthen the total digital currency network through offering competition between currencies, which helps create efficient, powerful currencies according to consumer preference.